Ever since I got a donut pan, I've been dying to make donuts. Unfortunately, I just haven't had the time to try it out between making all of the other recipes on my to-bake list. 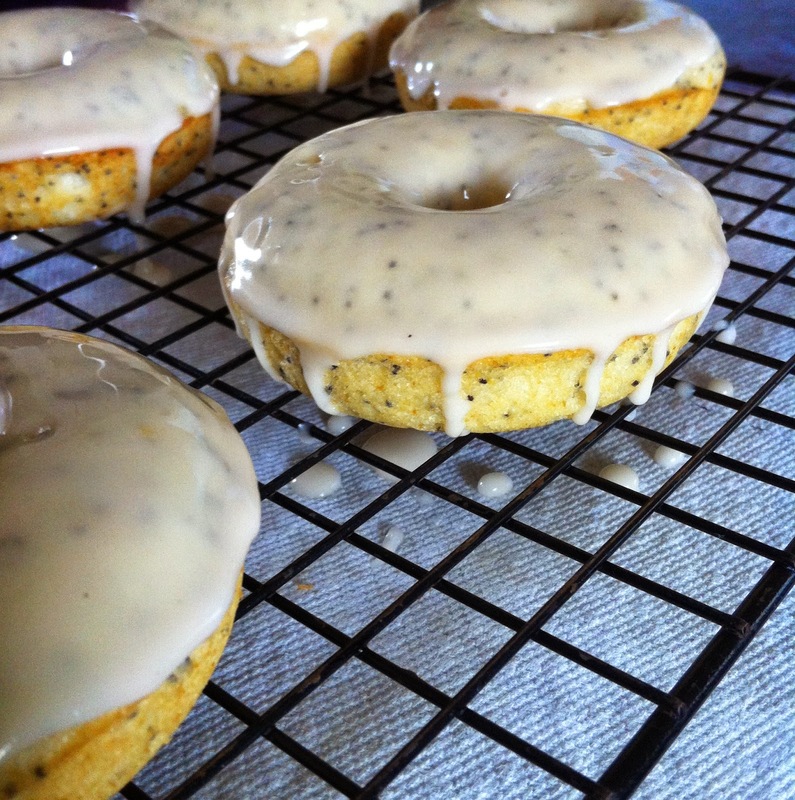 A couple of days ago, though, my sister sent me the recipe to these delicious looking Lemon Poppy Seed Donuts and I just knew that we had to make them. For the Donuts: Preheat oven to 350 degrees F. Coat the wells of a donut pan with nonstick cooking spray. 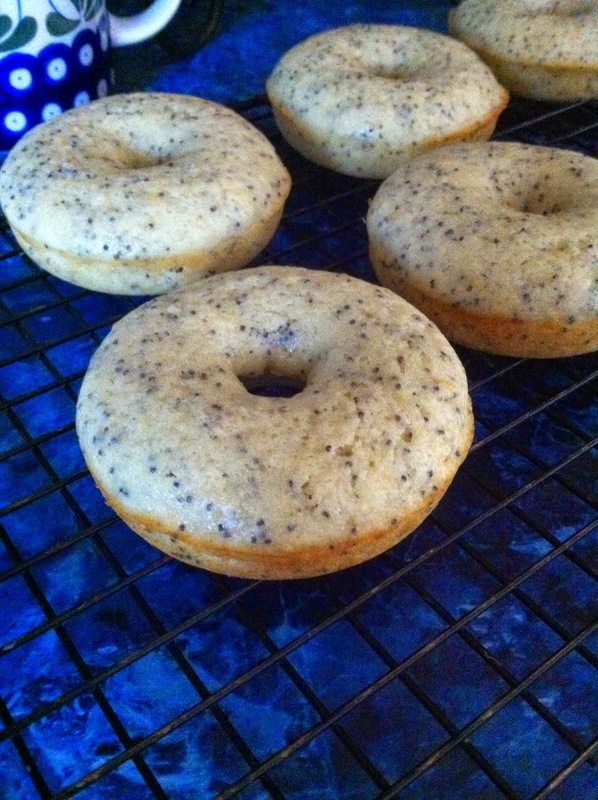 In a medium bowl, combine flour, sugar, baking powder, salt and poppy seeds. In another bowl, whisk together buttermilk, butter, vanilla, egg and lemon zest. Pour wet ingredients into dry ingredients and mix until well combined. Do not over-mix. Fill each mold almost to the top with batter. Bake for 15-17 minutes, or until a toothpick inserted into one donut comes out clean. 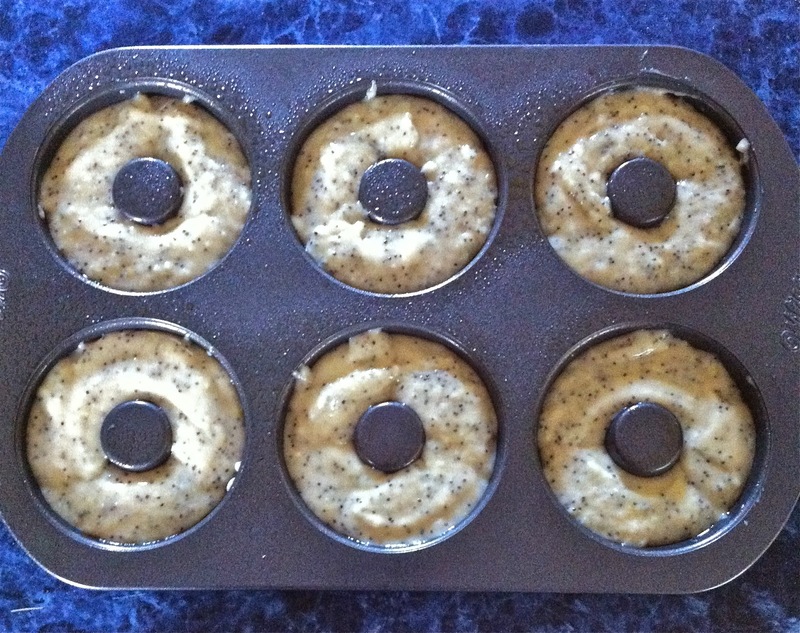 Remove pan from oven and let donuts cool completely before glazing. For the Glaze: Whisk all ingredients in a medium bowl, starting with 2 Tablespoons milk or cream. If desired, add more milk to thin glaze, or more powdered sugar to thicken. To glaze donuts, dip tops into glaze and place on a wire rack to set. Store refrigerated in an airtight container up to 3 days. These donuts turned out so good. While I think they would have been even better with a lemon glaze instead of a vanilla glaze, I still loved them. They made just enough for my family to each enjoy two donuts, and the lemon flavor was spectacular. 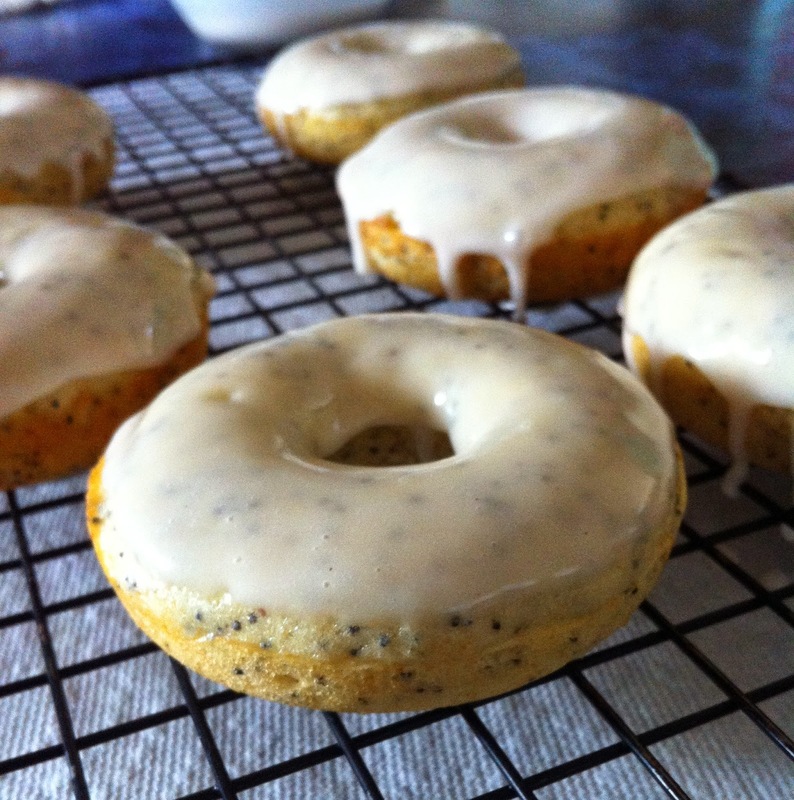 I've grown up loving lemon poppy seed, but don't usually get to indulge that often. 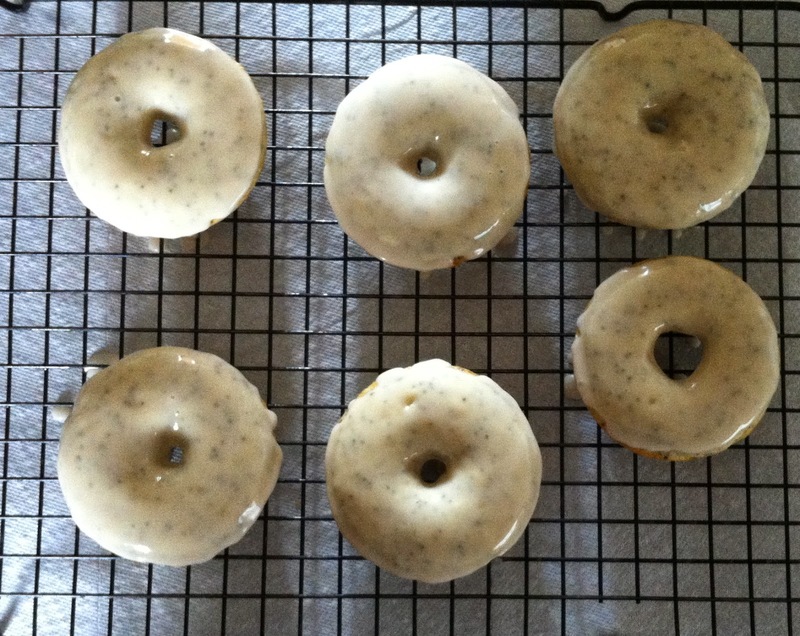 These donuts were the perfect treat for summer and I can't wait until we make them again!